I haven't always been a jewelry fan, but I've recently converted. When you're a mom on the go (or even if you're not) it's nice to throw on something a bit feminine, or stylish, or just to help you feel a little more put together. One of my favorite shops to find original jewelry is Two Sisters Jewelry Boutique. The shop is full of ultra chic pieces to help compliment your individual style and every mood. Their standard of quality sets them high above the rest, featuring distinctive handmade jewelry. You'll find semi-precious stones, 14k gold and sterling silver. Whether you're looking for something contemporary, hip, funky or feminine Two Sisters is sure to deliver. Bold and Beautiful and a great value at only $20. 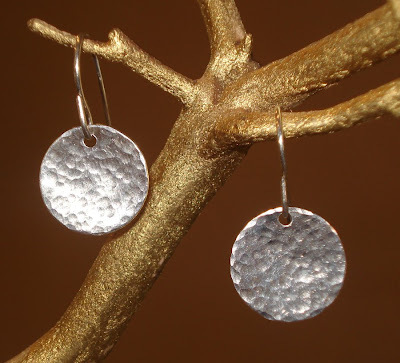 Sterling Silver, hand pounded disk earrings. Approx. 1/2" in diameter. 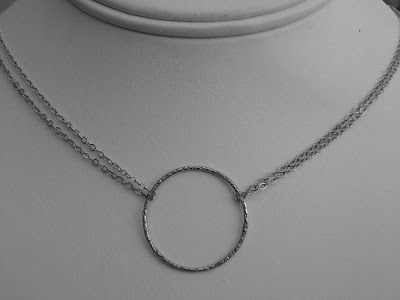 Made from thin sterling silver rope chain with a beautiful full circle. Necklace is offered in lengths of 16" 0r 18" and is the perfect symbol of love. $40. Kai Sterling Silver Aqua Necklace. This necklace features a sterling silver chain, clear quartz pendent and lobster sterling silve clasp. It the perfect statement or everyday addition to your collection. $40. These earrings are sure to dress up any ensemble. Sleek, sophisticated and sparkly, they are perfect for you, mom, sister or grandma. 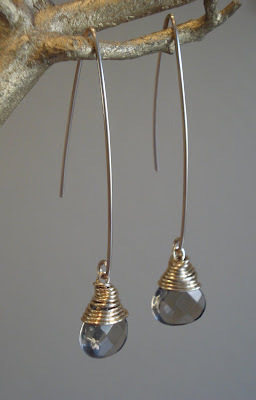 Made with smokey quartz stones that cascade from 2 inches of goldfill wire. Love them! $25. Today, in honor of Mother's Day, Two Sisters is giving away one of their semi-precious stone Mother's Bracelets. Choose from Patricia or Marie. These unique and truly one-of-a kind bracelets include chocolate or powdered almond Swarovski pearls, Swarovski crystals and sterling silver balls joined by a sterling silver toggle clasp. Names are personalized with sterling silver block letters. Which Two Sisters piece would you love to add to your collection? **Extra Goodness... Shop for yourself, your mom, your sister or pass this along to your husband, Two Sisters is offering all T+T readers 15% off your order with code "tangled09" good through 5/31/09. Happy Shopping. Good Luck and Thank You Two Sisters Jewelry Boutique! I love the Elle earrings but everything is so beautiful. i love all the necklaces! Do I have to pick just one...eternity, georgia, kai, ava...i love them all! The Kai Crystal necklace is such an eye-catcher! the smokey gold or the elle for sure! The Elle earrings are my favorite, hands down. Oh, how fabulous - my favorite is Elle, the pounded silver earrings. So simple - so lovely!! i adore the elle earrings! Those elle earrings are perfect. I bought the Eternity Necklace that you have shown for both my sis-in-law and my best friend for Christmas. It was even more beautiful in person. My absolute favorite at their site is the Ava necklace. I love the addition of the mother of pearl links. so pretty! love those ella earrings! Love all their stuff, but I've been looking for a mommy piece of jewelry for forever. Love the Marie bracelet! Thanks for introducing us to these lovely designers and for this giveaway! I would choose marie, LOVE THIS STUFF! I LOVE the hammered cuff! I love the link jewelry collection, particularly the Page necklace. I love the Patricia bracelet, super cute!! I would love the Sterling Silver Eternity Necklace! So simple, yet elegant. it's a toss up between the elle and the smoky gold earrings. both are lovely! Love that aqua necklace and the smokey gold earrings! Beautiful jewels. Love them! My fav is probably the Sea Blue Rose Necklace. Gorgeous! The smoky gold earrings are the bomb and I would LOVE for them to be on my ears! I would love to win the key lime bracelet!!! I LOVE the smokey gold earrings!! They look so elegant and understated!! The Elle earrings are awesome. Very unique and beautiful. I like the Josie earrings or the Hadley necklace! Love two sisters! Need that eternity necklace for my mom and myself. Loving the oval lariet, Ava and Georgia necklaces! I would love to win the Smokey Gold earrings and the Kai Sterling Silver Aqua Necklace. Oh the Kai Sterling Silver Aqua Necklace is so pretty . I'd love to add that to one of my outfits! The Marie bracelet is my fav. The "O earrings" are so cute! i like the mother's bracelets, or the hadley link necklace. I love the Elle. Very cute. They seemed like something that I could wear with everything. love love love the elle earrings. love love love the aqua necklace. 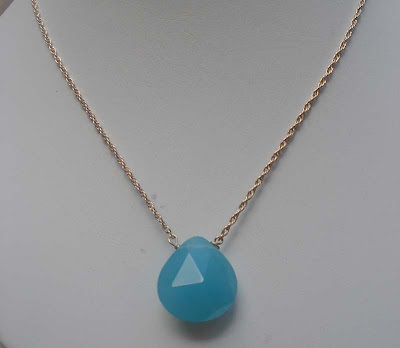 I love the simplicity and elegance of the aqua necklace. I love the Sterling Silver Eternity Necklace! Thanks! I love all the earrings, but especially the Elle earrings..simple yet unique. Definitely definitely the first earring pictured! All the earrings are lovely! I love the Oval Lariet necklace and O earrings. I like the Triple Silver Fiona bracelet! I my favorite earrings I've seen in a LONG time...I would choose the Elle earrings. Heck yes! This mama needs to add some new jewelry to her collection! WOOT! Such lovelies! Gimme some smokie gold! i WANT the aqua necklace! love the circle one as well. I am in need of some necklaces. I love the aqua necklace! Good taste! I love the kai and eternity necklaces too! Ooh, so pretty! I love the Elle earrings. I am in super love with the eternity necklace! ...hey loves...i adore the Oval Lariet necklace, it's stunning! Oh my, I really would love to win the Elle earrings! I would love to own the elle earrings! Though they're all pretty, loving the silverness! The smokey gold earrings are so darling! the elle earrings would be just perfect! The Josie silver earrings are amazing! It's all beautiful, but I really love the necklaces! So beautiful! Jewelry is the perfect way to make a mom feel like a woman! The Elle earrings are my favorite! Jewelry is one of those things I love but never feel justified in buying for myself. These are particularly sweet. How can you pick just one? And I was very surprised by the prices, very affordable! Thanks, but I think I would pick the silver triple fiona bracelet, BEAUTIFUL! I love the Kai Sterling Silver Aqua Necklace. It's just so simplistic that it's fabulous. elle earrings! hadley necklace! hammered cuff bracelet! The black rose necklace would be perfect to dress up my everyday mom-wear! The Crystal Silver is gorgeous! I love the Ella and Mia earrings. So simple and beautiful! I LOVE the Kai Aqua. So me! I love the smoky gold earrings, but that mommy bracelet -- too fantastic! the Avery Amozonite earrings are wonderful! what a nice mother's day giveaway. I love the Kai Sterling Silver Aqua Necklace. The Kai Sterling Silver necklace would match my new love of aqua for spring beautifully! Love the simplicity of Elle earrings. Perfect! Beautiful! The Elle earrings are my pick. I love the Elle earrings! Everything looks wonderful. The "Oval Lariet" is beautiful. I like the Biana earrings and the Oval Lariat necklace! I like the Elle earrings and the eternity neclace too! I love the Smokey Gold earrings, but since I can't wear earrings, I love the Ava necklace. But it was really hard to choose a favorite. I love love the eternity necklace!So simple and lovey. I love the smokey gold earrings. Beautiful. 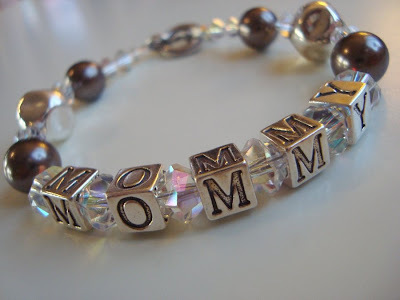 I love the Marie "Mommy" bracelet! So cute! What a great boutique! I love the necklaces-just my style. The Kai Sterling necklace is just calling my name, especially. Thanks for the opportunity to win! I would love any of the link jewelry.